August is a mid monsoon month in India. Yet, the past week (17th Aug – 23rd Aug, 2015) has been pretty dry and cloudless in Pune, India. Today i.e. Sunday 23rd August, 2015 I got a chance to see the night sky after a long time. The previous night I worked on setting up my 8 inch telescope and seeing how it is working as it was not put to use since June, 2015. The telescope looked just fine and is continuing to give me great balancing and tracking. Today (23rd August) I was on the observation deck from 6:30pm – 9:30pm. 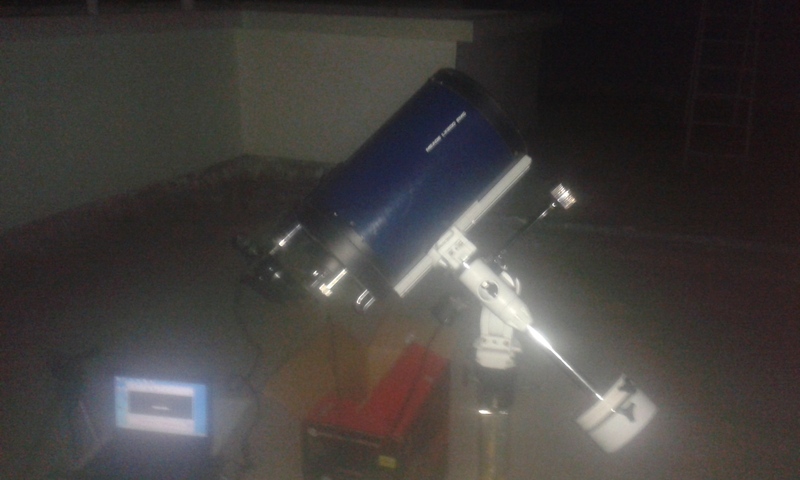 My primary aim was to check the DSLR camera, its operation with the laptop connected to it, tracking of the 8 inch telescope on EQ-3 mount and finally taking photographs with the camera mounted on the 8 inch. I took a few dozen photos of the moon (photos below) and the focusing was just right for the craters to be seen in detail. However, the tracking motor was losing battery power and its about time I change them. They have lasted for a good 6 month period with about 120 hours of continuous usage. It was a great treat to see Saturn and M57 from the telescope. Unfortunately due to the failing battery power, I couldn’t image them. There are a few corrections such as view finder alignment and RA rack-and-pinion knobs which have to be made. I used the webcam attachment too to take some photos and that is working fine too. 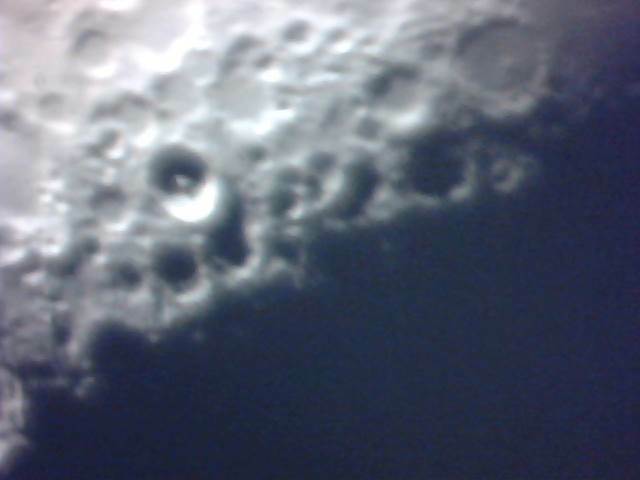 I have some video grabs of the moon taken using the webcam uploaded below. But nevertheless seeing these objects in the night sky once again brought back all those memories from last observing season. Waiting eagerly for the monsoon to get over. “Winter is coming”. 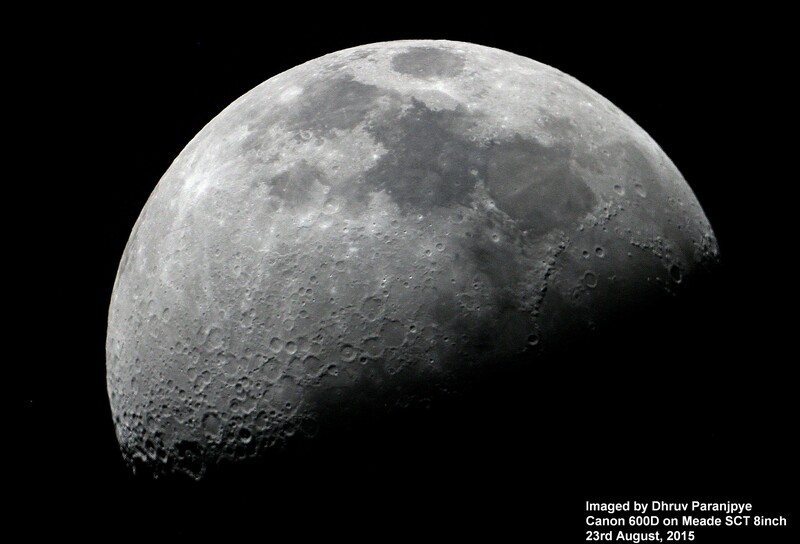 A video grab of the moon from the webcam attached to the telescope. Notice that this photo is full of noise and also has a much smaller field of view than the one taken with the DSLR camera (above).